This paper posits that the brain evolved for the control of action rather than for the development of cognition per se. We note that the terms commonly used to describe brain–behavior relationships define, and in many ways limit, how we conceptualize and investigate them and may therefore constrain the questions we ask and the utility of the “answers” we generate. Many constructs are so nonspecific and over-inclusive as to be scientifically meaningless. “Executive function” is one such term in common usage. As the construct is increasingly focal in neuroscience research, defining it clearly is critical. We propose a definition that places executive function within a model of continuous sensorimotor interaction with the environment. We posit that control of behavior is the essence of “executive function,” and we explore the evolutionary advantage conferred by being able to anticipate and control behavior with both implicit and explicit mechanisms. We focus on the cerebellum's critical role in these control processes. We then hypothesize about the ways in which procedural (skill) learning contributes to the acquisition of declarative (semantic) knowledge. We hypothesize how these systems might interact in the process of grounding knowledge in sensorimotor anticipation, thereby directly linking movement to thought and “embodied cognition.” We close with a discussion of ways in which the cerebellum instructs frontal systems how to think ahead by providing anticipatory control mechanisms, and we briefly review this model's potential applications. The authors have no conflicts of interest associated with this manuscript. Ramnani N. Frontal lobe and posterior parietal contributions to the cortico-cerebellar system. Cerebellum. 2011. doi: 10.1007/s12311-011-0272-3. Glenberg AM, Gallese V. Action-based language: a theory of language acquisition, comprehension, and production. Cortex. 2011. doi: 10.1016/j.cortex.2011.04.010. Mostofsky SH, Ewen JB. 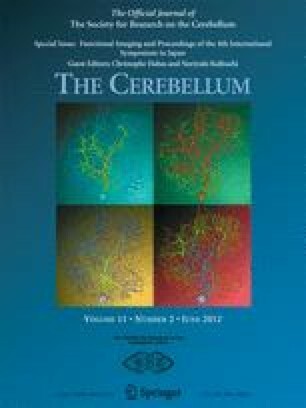 Altered connectivity and action model formation in autism is autism. Neuroscientist. 2011. doi: 10.1177/1073858410392381.